The markets are moving into their first MAJOR inflationary shift in TEN years. Perhaps the single best metric for measuring inflation vs. deflation in the bond markets is the TIPs to Long US Treasury ratio. In its simplest rendering when this ratio rises, it means inflation is on the rise. 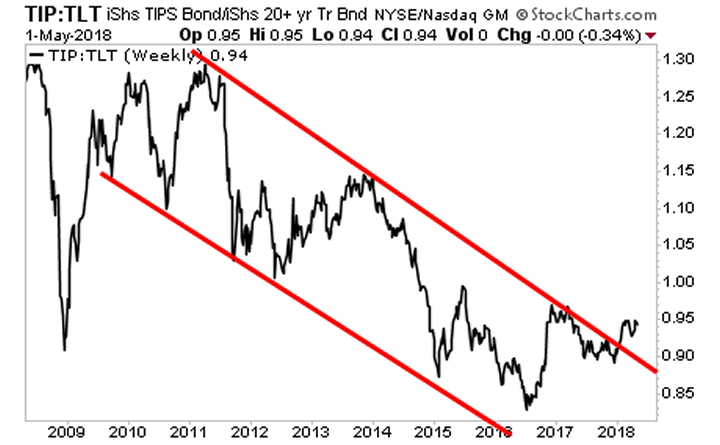 When it falls it means deflation is dominating the bond markets. As you can see in the chart below, this ratio has just broken out of a 10-year deflationary downtrend. This is the FIRST confirmed breakout since the 2008 Crisis. And it signals a tectonic shift towards inflation is underway in the bond markets. 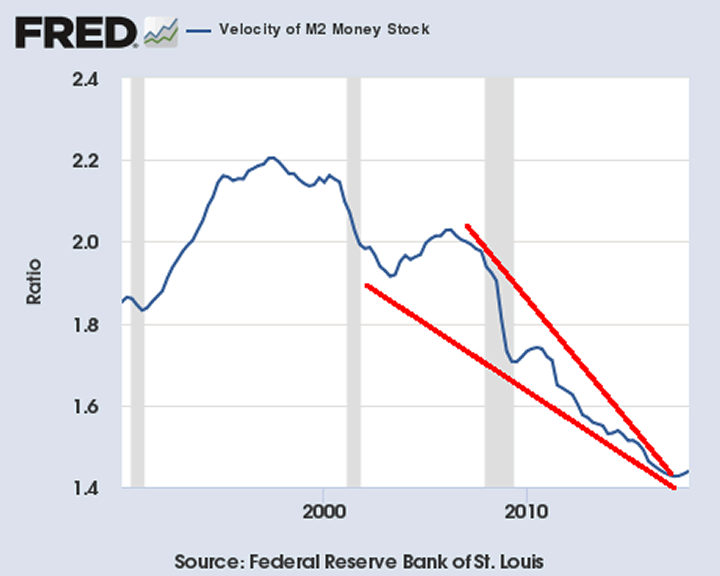 We are seeing a similar breakout in the velocity of money, which measures the speed at which money travels throughout the financial system. Here again we are seeing our first upwards breakout of a previous downtrend in ten years. Take note, both the BOND MARKETS and the VELOCITY OF MONEY are screaming that the financial system has made a 1 in 10 years shift. This is THE BIG MONEY trend today. Already the financial system is showing signs of it. And smart investors will use it to generate literal fortunes.